The 225-570-A Sling Psychrometer is a standard sling psychrometer meeting U.S. National Weather Service recommendations. It consists of two 9.5" red liquid filled thermometers mounted on a stainless steel back. 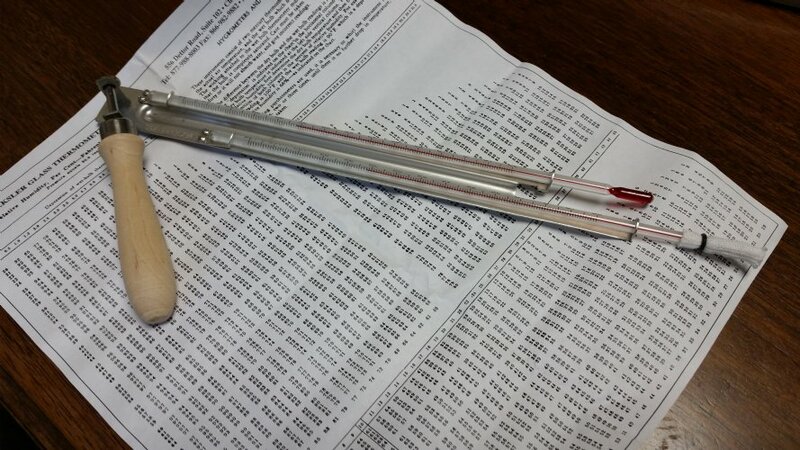 The wet bulb thermometer has a muslin wick covering the bulb. A wooden swivel handle with a chain for whirling is attached to the thermometer back. 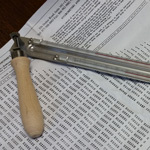 The 225-570-A Sling Psychrometer is a standard sling psychrometer meeting U.S. National Weather Service recommendations. It consists of two 9.5" red liquid filled thermometers mounted on a stainless steel back. The wet bulb thermometer has a muslin wick covering the bulb. A wooden swivel handle with a chain for whirling is attached to the thermometer back. The 225-570 Sling Psychrometer has a range of -20° to +120°F; the range of the 225-571 is -30° to +50°C. 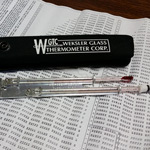 Each sling psychrometer utilizes two matched thermometer tubes reading the same temperature to minimize error when measuring the relative humidity. Humidity tables are provided with each instrument. Replacement wicks are available.